clinic. For those of you that have never been to see a Homeopath, I wanted to share a bit about what went on yesterday, so you can get an idea of what Homeopaths treat and how they work. Typically I might see 5-6 patients in an average clinic day. This may not sound like many, but with new patients I spend an hour with them and follow-ups are usually 30-45 minutes depending on the case. I will also answer ongoing and current patient emails and take a phone consult or two for an acute prescription, usually from an existing patient or for a child. I also do online skype consults from around the world. weakened immune system and various pregnancy ailments.I prescribed three medicines for her. One to use now to alleviate the chest infection she is experiencing, and then another to follow on after that to really boost her immune system and eliminate her susceptibility to bronchitis. I also prescribed a tissue salt homeopathic medicine to help her energy levels. I will see her again in three weeks. 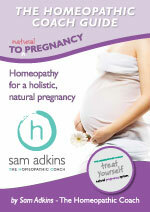 I also shared with her my Treat Yourself Natural Pregnancy System because she is very keen on Homeopathy and knows that this is the only type of medication you can safely take during pregnancy. I then treated by phone, a client whose symptoms are primarily emotional but causing a strong and alarming physical heart pain. In this case I treated both his intense emotional symptoms and physical symptoms, because the direct correlation with this heart symptoms was obvious and I know from experience that the latter will cease once the emotional symptoms are re-balanced. Homeopathy is wonderful for treating the whole person and in fact this is what we try to do in almost every case! I have known this patient for years and can predict with accuracy how things are likely to unfold. My next patient was an emergency appointment due to severe stress caused by work victimization. I knew that this patient will respond to some acute Homeopathic medicines (which I gave her on the spot and to take home) but her situation needed dealing with by some direct, head-on action. After taking her case, giving some coaching and allowing her the space to ‘let go’ emotionally, I phoned through to a GP/MD colleague that I refer to, so he could see her and write her the necessary documentation for what I deemed was essential sick leave. She is now home and sorting out what needs to be done. Early afternoon saw me doing a radio interview for 2SER Community radio in Sydney for a Homeopathy feature. The interviewer was nervous and I almost gave her some great Homeopathic medicines for anticipatory anxiety. In her case it would have been good old Gelsemium 30c. I just love Homeopathy when I get results like this for a patient! So that’s a typical clinic day for me. I hope this gives you some insight into how Homeopaths work and what kind of things we can successfully treat.